This watch features the new Nomos Swing System - a spring and escapement designed and built by Nomos. 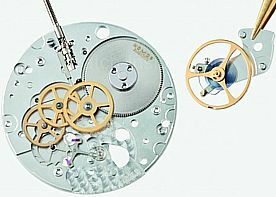 The distinctive blue balance spring can be used to identify Nomos watches using the Swing System. Nomos has been working on their new escapement for a number of years, featuring a balance spring, anchor and anchor wheel. The new Nomos balance spring was developed together with the German balance spring specialist Carl Haas and is immediately recognizable by its blue color. 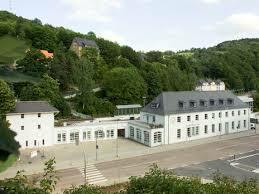 All Nomos movements featuring this swing system are designated as DUW (Deutsche Uhrenwerke). This version of the Nomos Club adds a date function, sapphire back to view the in-house movement and a larger case size of 38.5 mm. This watch demands attention for its sporty design and dial markings. The manually winding movement is designed at Nomos' Glashutte, Germany workshops, and features a power reserve of 40 hours. Watch features sapphire crystals on both sides. This watch features a silver dial. Verified Owner Comments: A very nice watch. The manual wind movement appeals to me with its accuracy and simplicity. 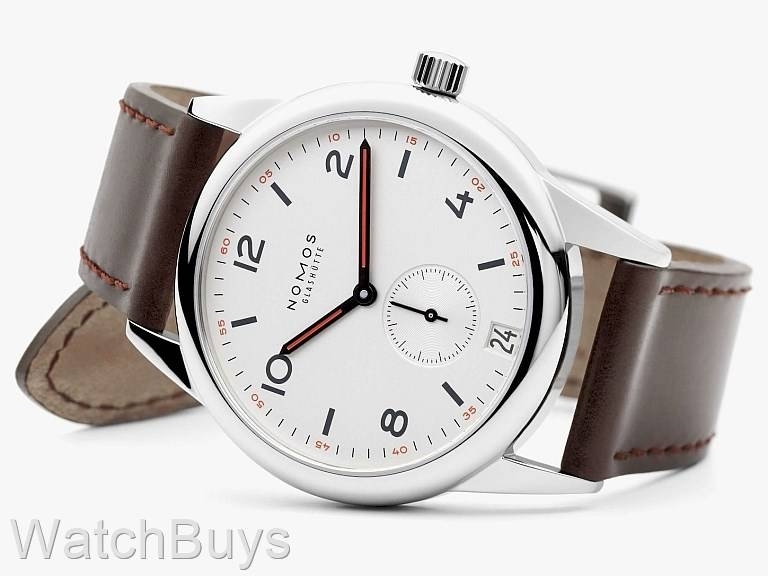 This is my first Nomos and I am considering getting a Tangente with the same movement as an alternative. If you like the look, rest assured that the materials, craftsmanship and finishing is superb. By the way. I also own automatics from Rolex, IWC, Omega and Tag, so I am not a neophyte. Verified Owner Comments: This is a great, versatile watch. 38.5mm fits my small wrist well. The long lugs have to be taken into account when deciding on a size. You get a good value with Nomos. This is my first Nomos and I am sincerely impressed. I was a little weary purchasing through an internet site (WatchBuys) but they have been great to work with and I plan to purchase watches and accessories through them in the future. They are more thorough, knowledgeable and conscientious than any physical store (and I collect watches so I have purchased from many different stores). Verified Owner Comments: Firstly, my wife is extremely complementary of the attention and service she received from Rob at WatchBuys. I have followed Nomos for several years and have been considering adding one to my small collection. I tried on several in a watch shop in Paris in the Fall - my wife liked the look of the Club and surprised me at Christmas with a 38.5 manual. A beautiful piece. It complements the RGM, Bremont, Kobold and Damasko in my small collection. Great value in a great watch.